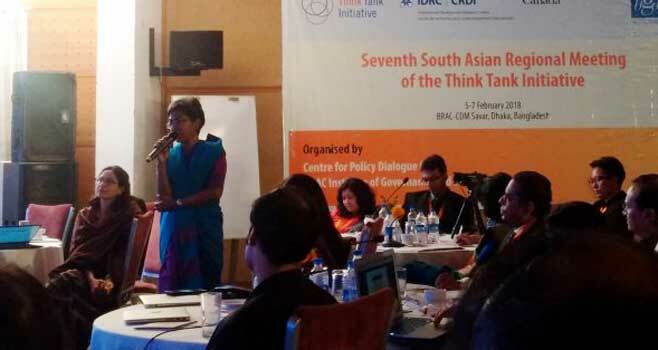 She made these observations at the Think Tank Initiative’s 7th South Asia Regional Meeting 2018 (TTI RM7) held under the theme of ‘Remaining Relevant in the Policy World: Sustainability Challenges of Think Tanks.’ The meeting, organized by the Centre for Policy Dialogue (CPD) and the BRAC Institute of Governance and Development (BIGD), was held from 05 – 07 February 2018, in Dhaka, Bangladesh. 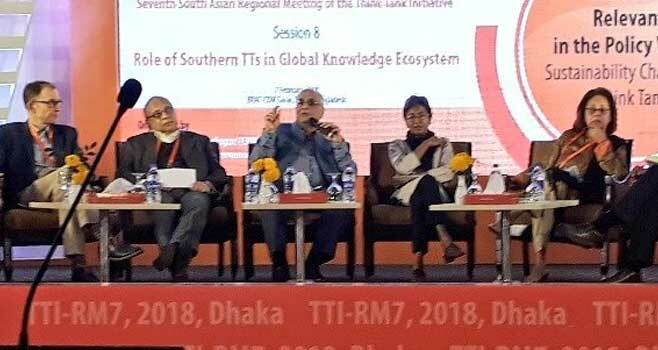 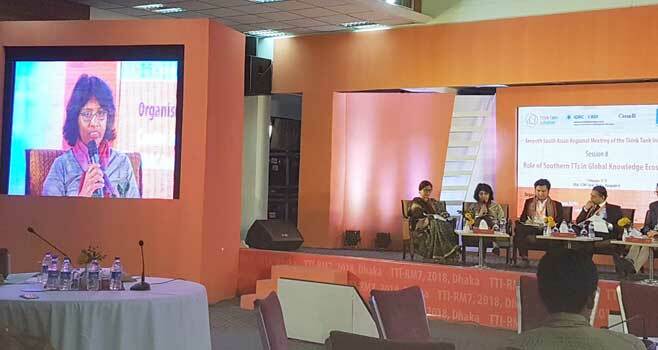 Meanwhile, speaking at a panel discussion on the role of southern think tanks in the global knowledge ecosystem, IPS Director of Research, Nisha Arunatilake, said global knowledge system is northern centric, primarily due to technology and global competition for talent. 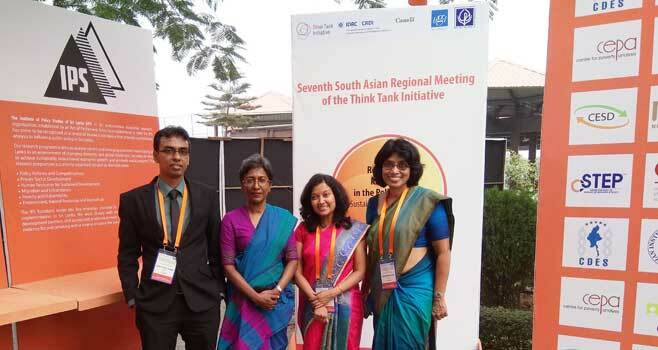 Thus, technology, big data, and new methodology are widening the gap between think tanks in the north and the south. 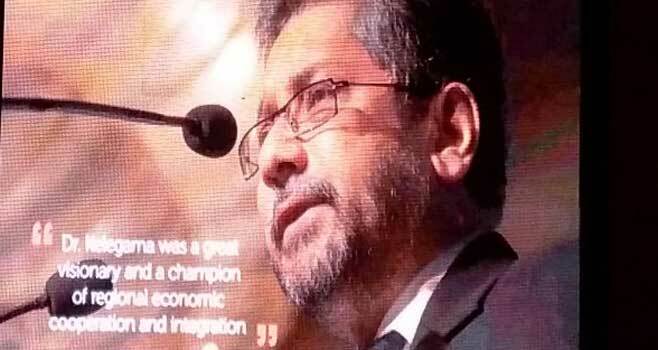 A special session to commemorate the former IPS Executive Director, late Dr. Saman Kelegama, was also held during the meeting with the participation of his family, colleagues, and close associates. 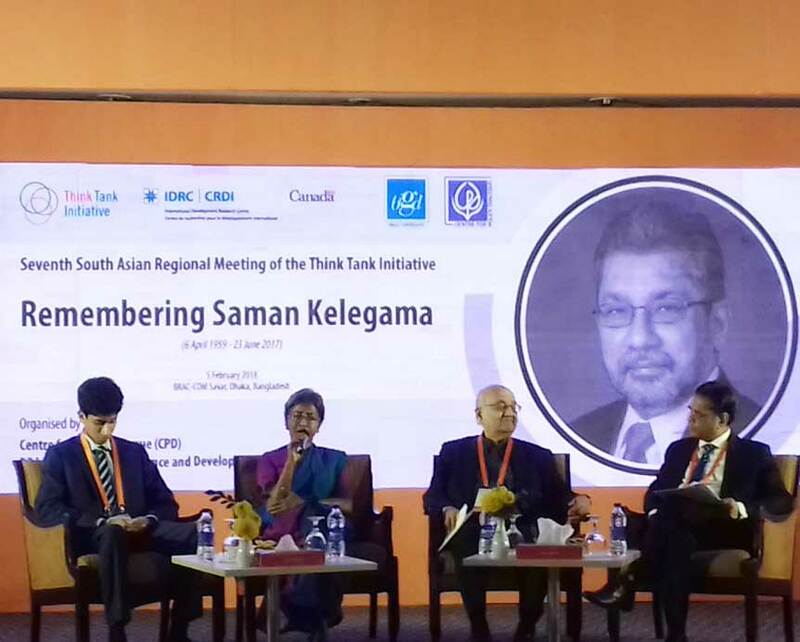 It reflected on the contribution of Dr. Kelegama, who dedicated his professional life in promoting South Asian integration. 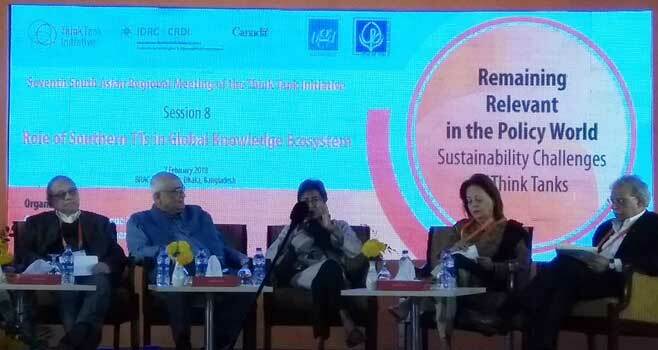 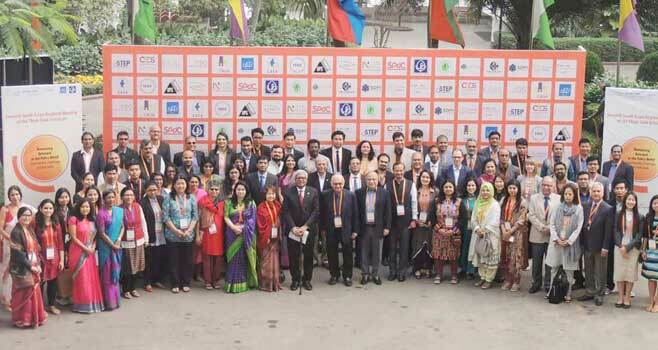 IPS Research Fellows, Manoj Thibbotuwawa and Ganga Tilakaratna also participated at the event.